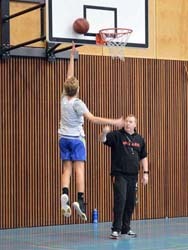 If you are interested in basketball, want to gain experience and love coaching young players; then this is your chance to become involved in one of the premier clubs in Canberra! We currently have openings for coaches for the current season. All training and assistance will be provided by Norths for coaching our teams. This provides a great opportunity to meet new people, support junior sporting development and the perfect way to foster lifelong contacts and friends. Please contact Clare Gallon at northsheadcoach@gmail.com or 0420 395 919 for further information and to register your interest.